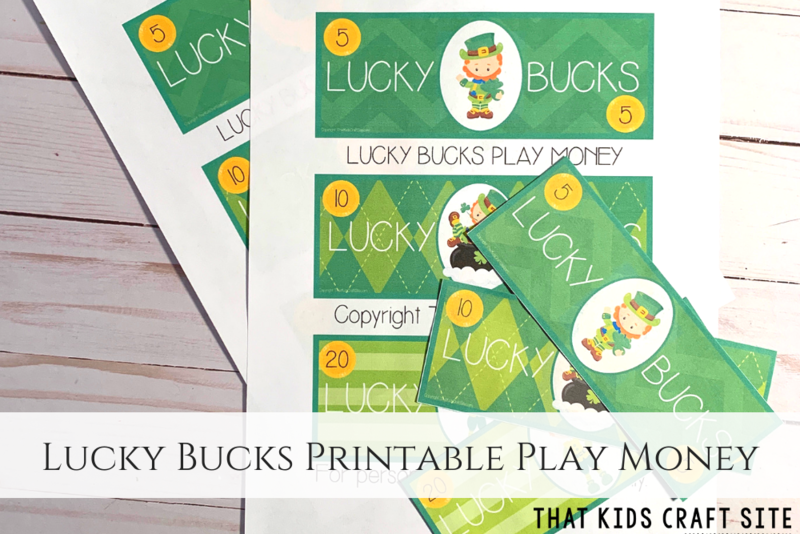 Get ready for St. Patrick’s Day – or any day! 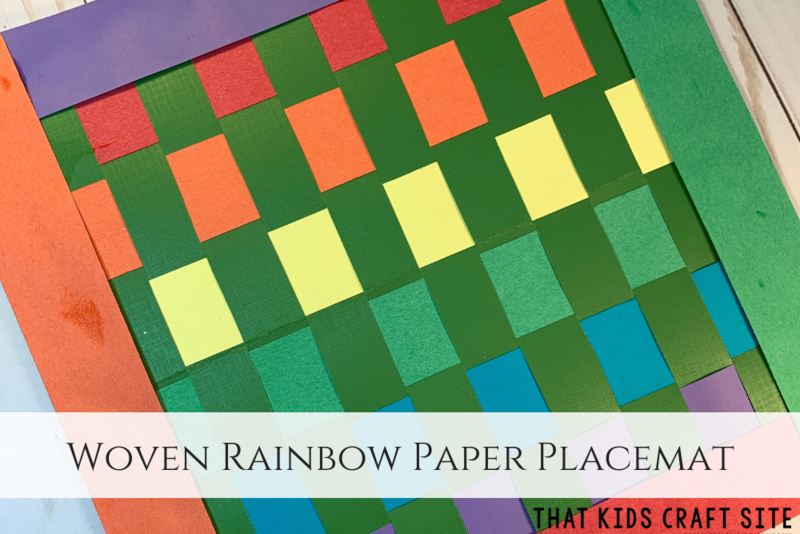 – with this rainbow woven placemat craft for preschoolers! One of the great things about preschool crafts is that they’re usually so much more than just a busy activity. As kids are learning and growing, they need to practice and build those skills that will help them be able to succeed in school. Things like learning how to control their fine motor skills – think small hand movements and being able to move and manipulate materials – and recognizing patterns and colors are both important skills kids need to learn. 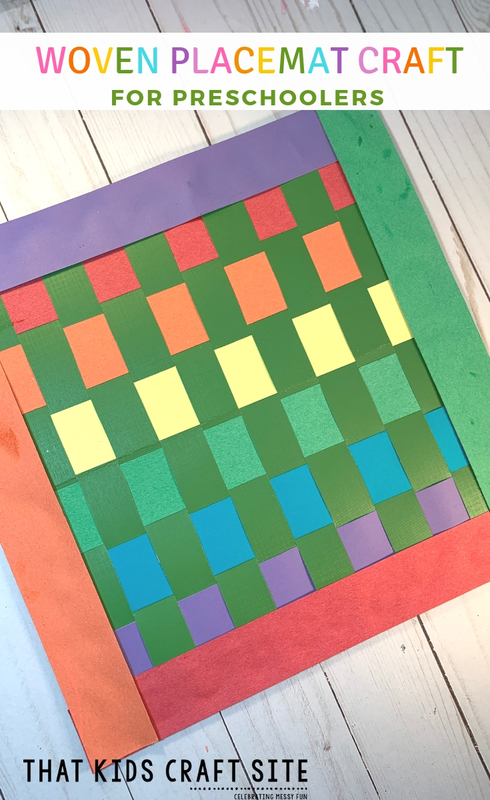 This rainbow, St. Patrick’s Day inspired woven placemat craft for kids is a perfect example of a craft that manages to get all of those important skills into one fun – and colorful! – activity! You can totally change up the colors – maybe red, pink, and white for a Valentine’s Day craft, or soft pastels for an Easter craft – to fit your needs. We also decided to make ours square, because we used scrapbooking paper that comes in those big books at the craft store that are always on sale. (#bargainshoppers) You could use rectangular paper if you chose to do that as well. 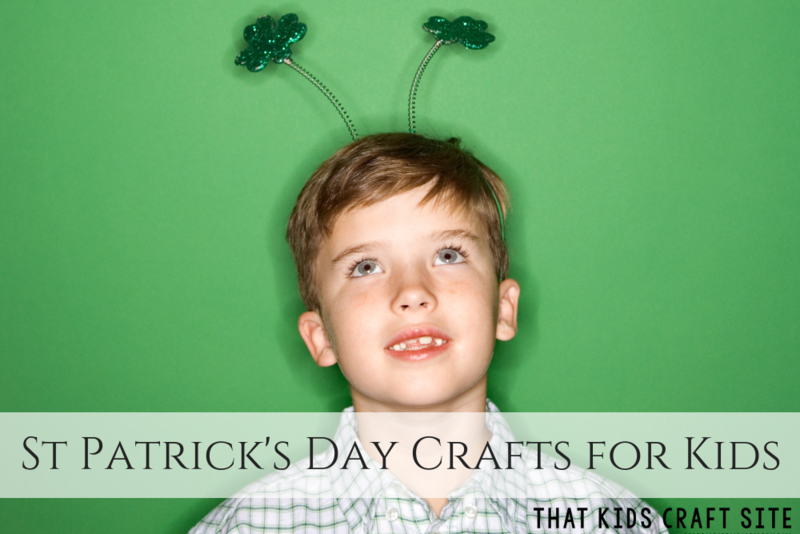 It’s up to you and depends on what you have on hand in your craft supply closet. No matter how you make the woven placemat craft, have a blast! On your background paper, measure 1-inch around all sides and draw the lines. This is the area that will not be cut. Inside the “box” that you drew on your base page, measure out vertical lines every 1-inch – starting from the top of the box and ending the line at the bottom of the box. Cut along the 1-inch lines stopping at the edge of the box. Next, cut 1-inch strips from the other colorful pages using the paper cutter*. We needed 14 strips total, but your needs may vary depending on the size of the base page. Weave the strips through the base page, going over and under the cut out pieces. Glue the ends to the page. Continue weaving, alternating which side you start on, until the base page can no longer hold any more strips. Make sure all strips are glued in place. Take four strips and glue them along the outside edge of the base page to create a border. This helps cover up the “messy” edges and finishes off the woven placemat. If desired, cover the entire placemat in clear contact paper or laminate it for durability. *WARNING: The paper cutter should ONLY be used by adults or with adult supervision! Children should never use the paper cutter alone! Show Us Your Woven Placemats!